← Studio News: Hooray for Theory! 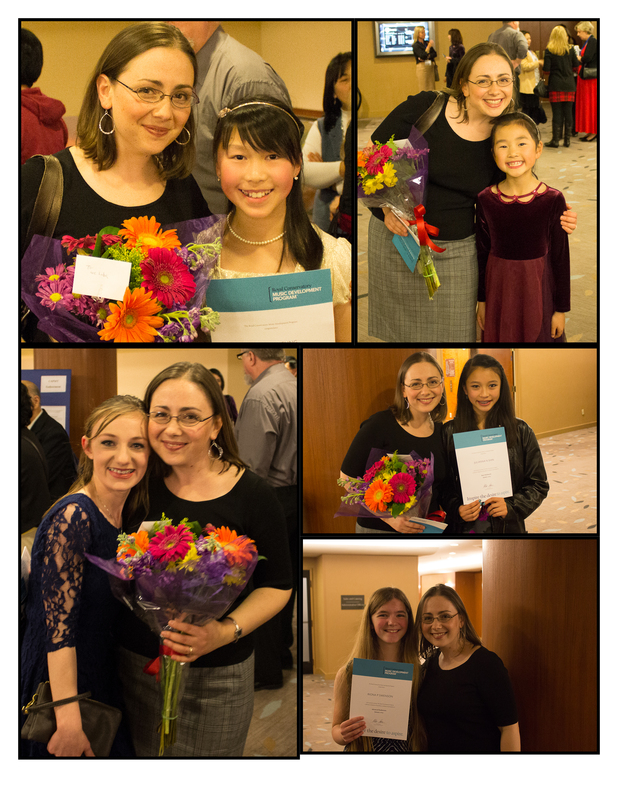 A lovely time was had by all at the Music Development Program Celebration of Excellence! The evening featured a recital by students who had earned top marks in the state of California on Practical assessments, remarks by Dr. Janet Lopinski who came all the way from Toronto for the occasion, and a presentation of certificates to all those who earned top scores in Practical as well as Academic subjects. Congratulations to Diana, Rebecca and Sarah who earned top scores in California on their piano assessments last year, and to Riona and Julianna for earning top scores in California on theory assessments!